Recruitment is the first text that composes the Management of Volunteers in Scouting (MoViS) resources. As a dynamic volunteer-based movement, Scouting should have the constant renewal of its adult resources as a focal point. Looking outside the movement is a strategic choice that many associations have taken in order to broaden the base of recruiting new leaders. The process of identifying, recruiting and managing new leaders is consuming a considerable amount of resources, therefore there is an increased need for streamlining and efficiency in this area. The recruitment policies of associations tend to range between fulfilling immediate organisational needs and long-term strategies, designed to assess potential and prepare plans to fill the potential human resources gaps. Unfortunately, sometimes associations realise the importance of a planned recruitment policy only when faced with a sudden shortage of leaders. The panic that ensues can be prevented by continuous awareness of the actual leadership profile within the organisation. When you know the actual composition of your “adult resources body”, you can undertake the steps necessary to maintain the optimum number of leaders and you can immediately react to unexpected changes. You will know when the number of leaders is expected to decline and you will have the opportunity to start a recruitment campaign well in advance. Therefore we recommend that you prepare a recruitment plan before you begin a campaign in order to know where best focus your recruitment activities. Two principles should guide any recruitment process: the definition of needs in terms of volunteers guided by a clear understanding about the volunteers that are already part of the association (the existing resources). 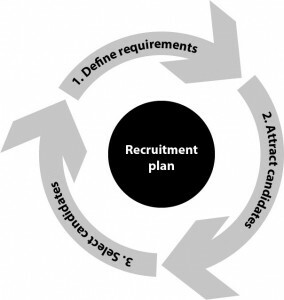 Nowadays the main organisational goal in terms of recruitment is not anymore to attract the largest number of job applicants, but to implement a consistent recruitment policy which enables to effectively tackle the quality of recruitment as a first step to a real policy of retention of human resources. 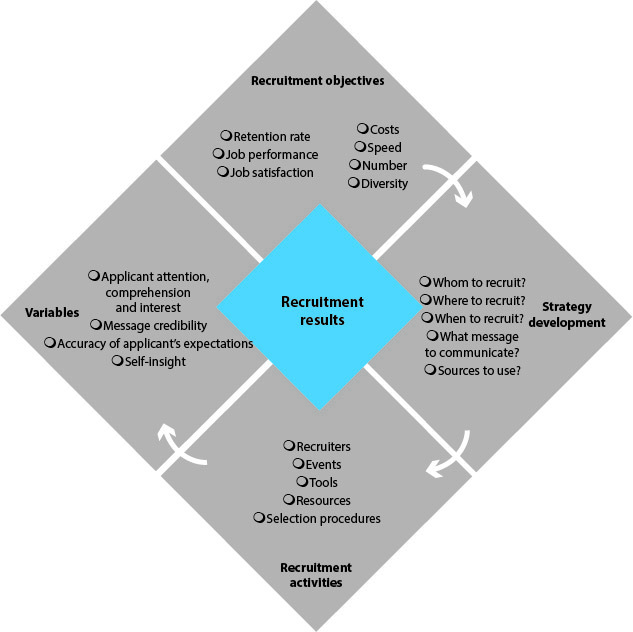 This new approach will highlight recruitment as a part of the volunteer life cycle in the Movement and help us to take steps forward in order to measure recruitment results in terms of quality. • Define the role that needs to be done. • Identify the skills and qualities needed. • Prepare short and clear job descriptions – leave more for the interview with those interested. • Advertise the positions or promote the opportunities for volunteering. • Go through the applications and generate a list of those who meet the requirements. • Identify the best choice. • If this is successful, welcome the selected person to Scouting. • If unsuccessful, continue interviewing. • if we are really committed to actively promote equality and diversity – our aim is to ensure that volunteers reflect the diverse profiles of young people and communities we serve. – Attraction: Search and stimulate potential candidates. – Invitation: Personal and direct call from the person in-charge of recruitment to the candidates. This invitation should be used to clarify the mission, vision and values of Scouting as well as the principles of the organization. – Preparatory meeting: A formal moment with other volunteers will help the candidate to have a clear understanding of the role he is expected to perform and enable him to take a more weighted decision. – Induction: The presentation to the local community is regarded as an important moment of the candidature process and ensures that the candidate himself is committed with the group and recognized as part of it. – Integration: As any new starter the candidate needs to understand the “business” of Scouting as well as the procedures and policies that affect his work. Simultaneously he will have the opportunity to socialize with the other volunteers. – Initial training: Basic training that aims to provide the candidate with the necessary knowledge and develop the skills and attitudes needed to his work. – Mutual agreement and Contracting: Definition of of relationship and responsabilities between the two parties which leads to appointment and membership of a National Scout Association. As a planned process, recruitment becomes a job in which everyone needs to be directly or indirectly involved. All leaders play an important role, from participating in defining the job to be done, to one-to-one recruitment, promoting and sharing their personal satisfaction with being Scouts, etc. Adult Resources CG. “Using scouting’s centenary for adult recruitment.” EuroScoutDoc (2007): 8. Breaugh, James, and Mary Starke. “Research on Employee Recruitment: So Many Studies, So Many Remaining Questions.” Journal of Management 26.3 (2000): 405-434. WSB, comp. World adult resources handbook. Geneva: WSB, 2005. WSB. Adult volunteers toolkit. Vol. 2. Geneva: WSB, 2009.